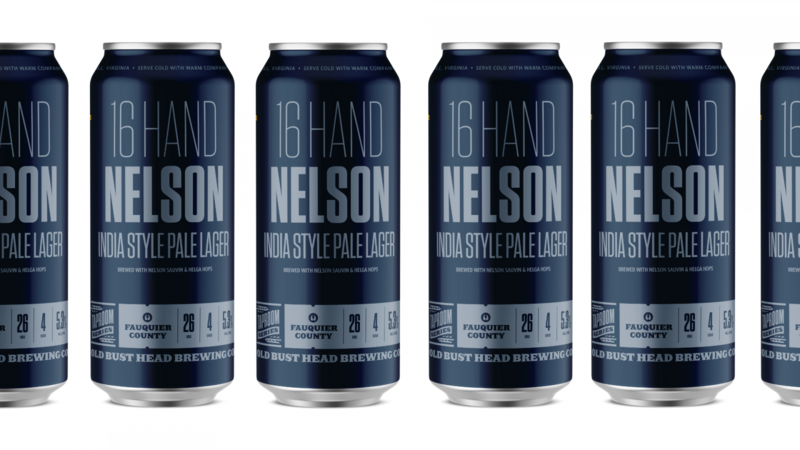 16 Hand Nelson will be available on draft and in 16oz cans! Measuring 16 hands and Virginia-born, George Washington’s favorite war horse, Nelson, is a fitting namesake for our Nelson Sauvin hopped India Pale Lager. Melon and grape notes from whole cone hops taper into a subdued, herbal spiciness while a structural backing of Pilsen, Munich, and Wheat malts lend an airy, biscuit-like body. With the aromatic complexity of an IPA and the delicate sessionability of a lager, 16 Hand Nelson could be your next favorite.